Some goods from the more industrialized factories might not fill a container, but minimal values are always in the thousands of dollars. It is better to approach a distributor or trade show seller in your own country if you cannot meet factory minimums. As an exaggeration, we can't fill a $500 order if it is spread over 250 factories at $2 each! What we can do is is get hand-crafted products made in lower than normal quantities in China. We are able to do this because of the long relationship with many factories within our network. Other times we are able to piggyback small orders among our many customers. Occasionally we are asked why we show a photo in our catalog if we have "no stock". They want to buy a piece or two. Some goods we can get in small quantity if the total order from that factory is large enough. We are not your local wholesaler or national distributor with a warehouse. What we are is your China factory connection. Any photo in our catalog, or idea in your head, can be produced with sufficient quantity. Don't hesitate to inquire about any import needs. 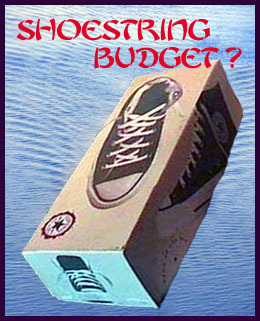 Aspiring entrepreneurs on a shoestring budget email us daily. Their idea of a container is a shoebox. We do have many companies that started small. They are now regular, large volume customers. If we can get it done, we'll do it. If too small, the factory might consider it unrealistic. Some similar catalog items are available from multiple factories and artisans. Quality and price can differ among them as widely as their minimal orders. Our catalog is merely a cross-section of what we handle. Please don't hesitate to tell us not only what you want, but also the quality and price point you need. That will help us to determine with which factory to place the order. The master is much more costly than the apprentice.